If you’re looking for durable envelopes that keep your shipments safe, consider Tyvek® envelopes. They’re made from strong material that can withstand grueling circumstances. Shipping is often rough on packages. They’re bumped, dropped, thrown, and subjected to various different conditions and types of weather. The last thing you want is for your shipment to arrive damaged, and this is specially true when you’re shipping with envelopes, as you’re likely sending out documents or photographs that need to be kept safe. At the Packaging Company, we pride ourselves on our wide selection and our commitment to customer service. If you have any questions about anything we sell – or if you have a shipping problem that you’re not sure how to solve – please do not hesitate to give us a call. 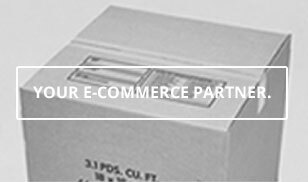 We want to work with you as a trusted partner and help your business succeed. Tyvek® envelopes are an excellent option for shipping as they are incredibly durable. When you’re sending important documents, artwork, or any sort of printed or paper information, you can trust these products to get the job done. You don’t want to have to worry about whether or not your shipment will arrive safely. We stock a number of different colors and sizes – from red to green and everything in between – because we know that each shipment and each application is unique. When you’re sending out a package, you want it to be safe and secure, but you also want your shipment to look great. The different color options are a great way to represent your brand and make a strong impression on your customers. Available in many different sizes, these products are self-sealing to keep documents safe. We even offer expandable options! If you have any questions about our products, please do not hesitate to contact us by phone or email. We’re here for you!